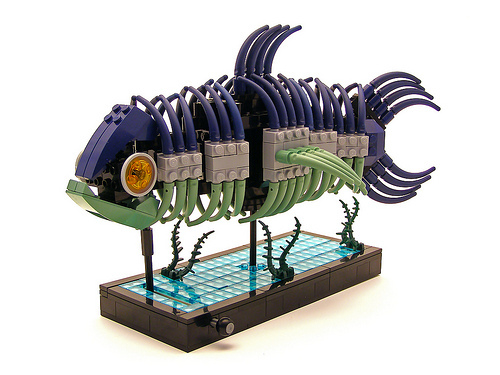 Tyler Clites (Legohaulic) has been fairly quiet lately (relatively speaking) so I was happy to notice this unusual fish sculpture in my photostream. I was then very excited to notice that it waggles. Too cool.